Get Your Smile Fixed for Less Than You Think with Porcelain Veneers in Beverly Hills, CA | Smile Angels of Beverly Hills - Bruce Vafa DDS. Looking for Porcelain Veneers in Beverly Hills? A smile is understood by all cultures. It transcends language and makes people seem more approachable. Studies have found that people view individuals who smile as more youthful and attractive than those who don’t. It goes without saying that a beautiful smile is worth the investment you put into keeping it healthy, gleaming, and free of decay. If you’ve had difficulty relating to other people because you weren’t confident about your teeth, don’t worry. You’re not alone. Many people are apprehensive about the way their smiles look because they have a crooked tooth or discoloration. That doesn’t mean they can’t be helped. A smile makeover Beverly Hills is just was the Doctor of Dental Surgery ordered. 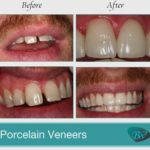 This article will help acquaint you with porcelain veneers by identifying what they are, who is a good candidate to get them, and how to care for them once you do have them placed inside your mouth. 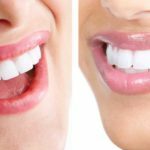 By educating you about the porcelain veneers Beverly Hills process, our aim is to give you the tools needed to protect your smile for many years into the future. Porcelain veneers are made to look like normal teeth. They correct issues you may have currently with your smile. For example, if you have a wide gap between your front two teeth and it causes you discomfort, veneers can address the issue by covering it up entirely. Porcelain veneers Beverly Hills are created in a dental laboratory and applied once they are complete. A set of temporary veneers are put in place in the meantime and removed once the permanent set has come in. They are bonded to your teeth using dental cement so that they become your new smile. You won’t experience any dietary changes as a result of getting a smile makeover Beverly Hills. You can use your new teeth to eat like you did in the past. Unlike dentures which are removed, veneers stay put and do not come out thanks to the strong bond formed at the time of application. Am I the Right Candidate for Veneers? You may wonder if you’re a good candidate for a smile makeover Beverly Hills. The answer is likely “Yes,” if you have crooked, twisted or uneven teeth. If they’re positioned in the wrong place, broken or cracked, decayed, discolored or overcrowded, you could benefit from porcelain veneers. Also, if you have a gap or hole in your mouth due to spacing issues, a visit to Smile Angels can address your needs and provide you with porcelain veneers personalized for you. How Can I Take Care of My Porcelain Veneers? Caring for porcelain veneers Beverly Hills is easy. Simply brush twice a day like you normally would, floss, and make sure to visit our dentistry office a few times a year to make sure that everything is going to plan. We want you to feel comfortable and satisfied with your smile makeover Beverly Hills which is why we go to great lengths to ensure the perfect fit over your original set of teeth. There are things that will stain porcelain the same way they do enamel. High-quality porcelain, however, is virtually stain-resistant. You can enjoy the occasional cup of coffee or glass of red wine without fear of ruining your new smile. If you do discover discoloration on your veneers, contact your dentist right away. The issue can be taken care of quickly and discreetly so that no one knows that you had a problem in the first place. You’ll be back to being all smiles in a matter of no time. There are distinct benefits that come with a smile makeover Beverly Hills. Among the most obvious is how wonderful porcelain veneers make you feel. When you look your very best, something inside of you changes. You exude self-confidence which is others pick up on. Your new way of presenting yourself to the world is intriguing. Your smile is infectious and other people can’t help but want to get to know you and what your secret is. They’re drawn to your presence which has become more outgoing since having porcelain veneers Beverly Hills specialist Smile Angels do work on your teeth for you. In addition to helping you look your best, your new teeth make biting, chewing, and brushing more comfortable. If you had dental issues in the past, you know just how impossible daily tasks become when your mouth hurts. Because veneers are like normal teeth, you’ll have better functionality over them as you go about your daily routine. If you want to try for that new job or approach the person of your dreams and ask them for a date, you’ll feel more compelled to once you see how great your new smile makes you look. A boost in self-esteem is one of the many benefits that you’ll receive from a smile makeover Beverly Hills. You’ll finally look as good on your outside as you feel inside. Porcelain veneers Beverly Hills are an investment in you. They provide long-term results which are measured by the amount of smiling you do after you get them. 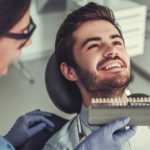 If you want to restore your self-confidence, experience less mouth pain, and correct problems that have bothered you about your smile for years, you’ve now got options. Get a smile makeover Beverly Hills. You deserve it! Contact us today for more information about porcelain veneers and to set up your free dental consultation. Your million-dollar smile awaits you at Smile Angels.